Grantsville was named after the Mayor of Victoria, John Grant. John Grant was a friend of Edward Malladaine and Edward Walker (the developers). Grantsville was the first subdivision on Salt Spring and did not turn into the town that was planned. From what I have found out, the lots did not sell very fast. Apparently it was a slow market. It was surveyed in 1891. 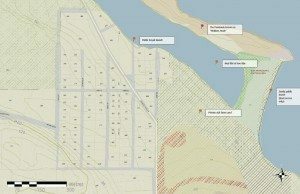 Follow this link (1891 Fort st plan south half, 1891 survey fort st north half) to copies of the original 1891 plot plan. Land speculation/development has been business on Salt Spring for a long time (not much has changed). 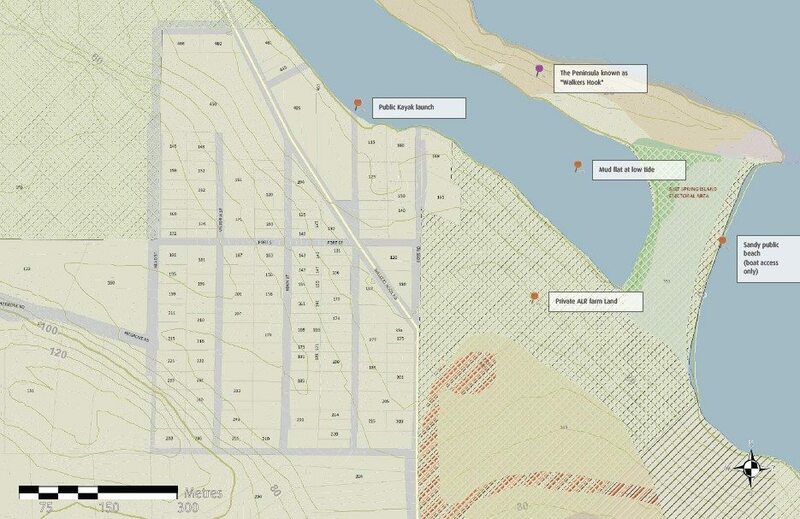 The developers’ were hoping Grantsville would become the main town site for Salt Spring. The developers plan was to dredge the bay behind Walkers Hook. Walkers Hook was named after Edward Walker, one of the earliest residents of Nanaimo. He worked for the Hudson Bay Company in the marine service. Walker informed Captain Richards of the HM Plumper, a surveying vessel, of a large rock in Trincomali channel east of Salt Spring Island. The Rock (Walker Rock) and Hook were named after Mr Walker. If all had gone as planned there would have been the new harbour for the new town of Grantsville. Grantsville pre dates Ganges. In the end Ganges won out and became the main town on Salt Spring Island. Some of the lots in Grantsville have never been built on. Some of the roads on the original plan have never been put in. I think the ideal was to have Fort St as the business road with all the town’s merchants branching off it. There is no commercial zoning in the area. It is all zoned R (rural) including the Hook. Maybe one day there will be condos on the Hook. Most of the lots are approx 1/4 acre in size and 60ft wide by 181ft deep. 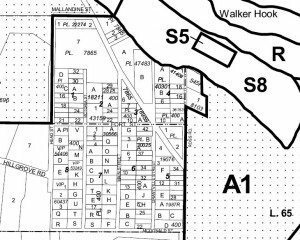 Some time in the 70s some home owners amalgamated their two or three 1/4 acre lots into 1/2 acre or 3/4 acre lots. It all comes down to how many titles an owners has. 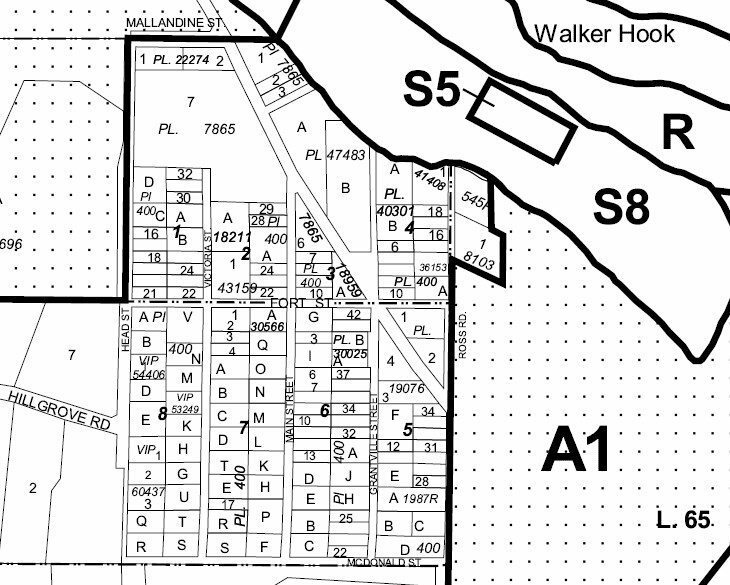 Some people have four titles for four 1/4 acre lots. The owners can sell each title one at a time or together as a package. If you are buying a 1/4 acre lot make sure you have room for a well and septic. Over the next few decades or so this area will be re-gentrified. There have been lots of young builders moving in and building very nice homes. At some point the CRD will have to put in a water system, with water from St Mary lake, and provide potable water to each lot. Grantsville has one of the highest concentrations of lots with septic fields and wells in Canada. I do recommend a water test if buying a place in the area and to be on the safe side, I recommend buying bottled water. It seems as if our local governments (CRD and Island Trust) will only build a water system if they have to or after someone gets sick from drinking contaminated water. This is not a complete list of all sold properties, Due to privacy there is no address on each sold property. For a complete list just email me. Grantsville is an up and coming area that will grow in value. The area has a great sence of community. Just walk the area and meet the residents and they will all tell you what a great neighbourhood they all live in.